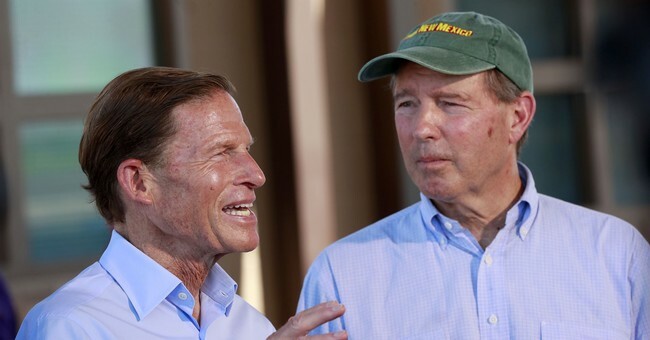 Tom Udall, Democratic Senator of New Mexico, announced on Monday that he won't be seeking re-election in the 2020 elections, forgoing a crack at a third term. The senator said in a statement that he was "confident that [he] could run a strong campaign next year to earn a third term," citing the skill of his office staff. "But the worst thing anyone in public office can do is believe the office belongs to them, rather than to the people they represent," Udall said. "That's why I"m announcing today that I won't be seeking re-election next year." However, rather than retiring, Udall says that forgoing his Senate seat will allow him to focus on more legislative matters. "Without the distraction of another campaign," he said, "I can get so much more done to help reverse the damage done to our planet, end the scourge of war, and to stop this president's assault on our democracy and our communities." Udall marks the first Democratic senator to retire since 2016 and the first to retire this election cycle. Meanwhile, two Republican senators, Tennessee's Lamar Alexander and Pat Roberts of Kansas, have already announced that they won't be seeking re-election next year. With Udall's seat up for grabs, there's hope for the Republicans to regain his Senate position. However, this seems unlikely; the state favored Hilary Clinton by eight percentage points in 2016. Additionally, the state hasn't had a Republican senator since 2002, when Pete Domenici won his sixth and final term.